Since creating this thriving and ever growing network for Virtual Assistants, Rosie Shilo has become one dedicated business woman. 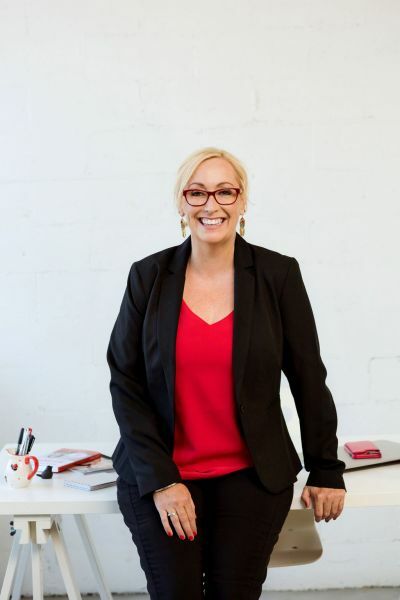 Currently Rosie owns and runs ‘Virtually Yours’, a network for over 190 Australian Virtual Assistants which she founded in 2004. Rosie has mentored many new and experienced VAs in their business, and seen them overcome many hurdles to achieve amazing goals. This inspired her to write “VA VA Voom: How to become an amazing VA and every client’s most Valued Asset” which was published in May 2014 and has sold hundreds of copies to date. Since then she has also published ‘Reaching for the Stars: a woman’s guide to becoming a Stellar Virtual Assistant‘. She has also launched her own VA podcast ‘Outsourcing Mysteries Exposed ‘ – check that out here! On a personal note, Rosie is a dedicated mother to 2 little girls, Ruby (8) and Ella (4). Ruby certainly keeps Rosie on her toes with her adventurous mind and entertaining ways while Ella is learning all these tricks from her big sister. Rosie is thankful that she is able to run her businesses from home in order to be there for her family. She also has 2 gorgeous ‘fur babies’, Mango and Abbie, who like to share her office chair or lay at her feet as she works. When I was a teenager, I decided I wanted to work with people with disabilities or people living in poverty. I’ve always been about trying to bring support to others wherever possible. Never did I think I’d end up doing what I do now. I spent a few years working in the disability sector and I spent a few months living in Kenya working on small projects to help locals. At this time, working completely online, supporting women working from home, never crossed my mind. It was when my Dad suggested I offer my natural administrative skills to small business owners like himself that I discovered there was a small online community of Virtual Assistants, offering admin, transcription and design work all from home – running their own businesses. I thought this would be a great side-gig and started setting myself up. It was a slow start, as these things often are. So many business owners didn’t understand remote work so they weren’t too keen to have someone helping them from anyone other than their own premises – but many of them couldn’t afford to hire staff to do this. There were some people however, who embraced the online support world. And it’s because of them that the VA industry was able to start growing. Obviously the women (and yes, it’s mainly women) who were offering the support were vital, but without clients who accepted this mode of support, we wouldn’t be where we are today either. Over the years my fledgling business turned into a completely different ‘monster’ – a gorgeous monster. A network of amazing VAs all supporting each other through the many challenges that are running an online support type business. I realised a few years in that it didn’t matter what field I was in – for me it was always going to be about supporting others and empowering others. The women I work with have so many challenges, from raising a family, supporting children with special needs, juggling jobs and family and their new business, battling through depression to create their own type of freedom, having their own physical conditions or limitations, and escaping toxic workplaces. They power on. Not every day. But enough days to keep moving forward. And that’s why I do too. Because together we can achieve anything.